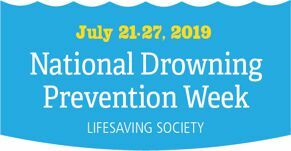 The Lifesaving Society is a charitable organization working to prevent drowning and water-related injury through our training programs, Water Smart® public education, safety management services, drowning prevention research and lifesaving sport. Let us know if you would like to be on the e-circulation list for Splash - the newsletter of the Lifesaving Society New Brunswick. The Lifesaving Society defines the minimum requirements for the safe operation of public swimming pools in its New Brunswick Public Pool Safety Standards. 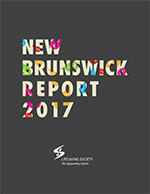 Based on research into Canadian and international standards, and developed in collaboration with New Brunswick public pool operators and experienced aquatic leadership personnel, the Society's bilingual New Brunswick Public Pool Safety Standards provides authoritative guidance on best practices for patron safety. Use the Order Form or order online from lifeguarddepot.com. 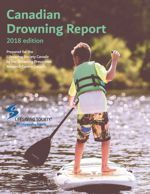 The average age of drowning victims is increasing in line with the aging Canadian population according to the 2018 edition of the Lifesaving Society's Canadian Drowning Report. The Lifesaving Society's online store is open for business. Enjoy the convenience of 24/7 shopping. It's all here - from first aid and pool supplies to everything required for lifesaving courses and training. Visit LifeguardDepot.com now! 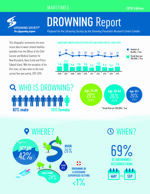 The Lifesaving Society is assisting the World Health Organization (WHO) to spread awareness in Canada of the first ever Global Report on Drowning: Preventing a Leading Killer. The report identifies drowning as a major public health issue and calls on the worlds nations to ramp up drowning prevention efforts. 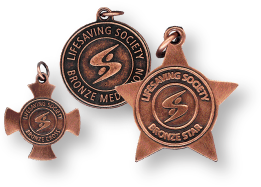 Read the Lifesaving Society communiqué. Read the WHO media release and read or download the Global Report on Drowning: Preventing a Leading Killer.